WOW, what an amazing party we had on Saturday, April 13th at LEGENDS NIGHTCLUB for Club papis return to FRESNO. BIG thanks to the crew at Legends and to all of the party people who came out to show love and support for this off the hook event with Rupaul Drag Race Star Kalorie Karbdashian and the all star papi gogo squad. The papi boys return to FRESNO on Saturday, July 27th for another huge Fiesta!! 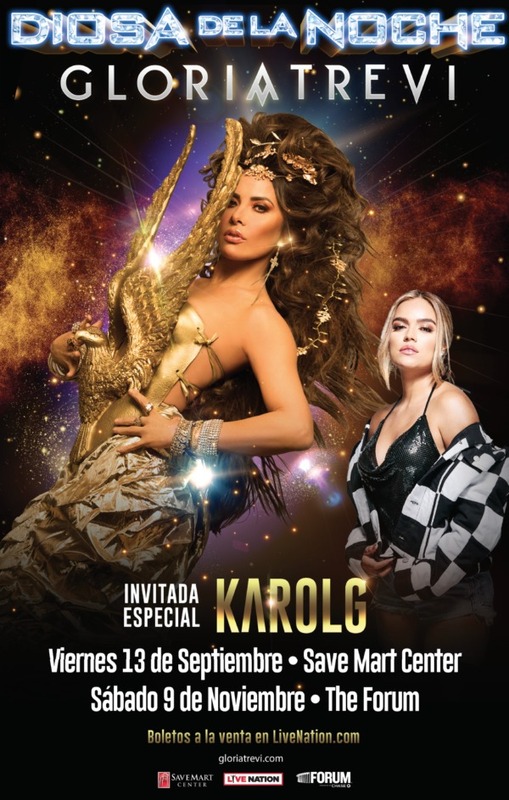 Club Papi Productions is excited to partner with Live Nation to be the Official LGBTQ community promoter for the upcoming GLORIA TREVI & KAROL G “DIOSA DE LA NOCHE NATIONAL CONCERT TOUR!! The FRESNO show will take place on Friday September 13th, at SAVE MART CENTER! BUY TICKETS NOW ONLINE at the Buy ticket button below. Stay on the Lookout for Official Pre Concert and After Concert Parties in FRENSO with CLUB PAPI & LEGENDS NIGHTCLUB, to win Exclusive FREE Concert tickets.